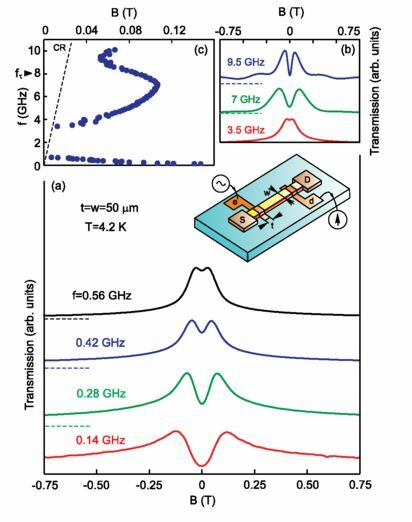 The microwave response of a two-dimensional electron system (2DES) covered by a conducting top gate is investigated in the relativistic regime for which the 2D conductivity σ2D>c/2π. Weakly damped plasma waves are excited in the gated region of the 2DES. The frequency and amplitude of the resulting plasma excitations show a very unusual dependence on the magnetic field, conductivity, gate geometry, and separation from the 2DES. We show that such relativistic plasmons survive for temperatures up to 300 K, allowing for new room-temperature microwave and terahertz applications.